Independent developer VDOGames from London Ontario announced today they have released Cally's Cave 3 on iOS devices. You can check out the description, trailer, and screenshots below. "Its time for the epic conclusion to Cally's battle with the Nefarious Herbert! Cally's parents have been kidnapped again, as Herbert tries to take control of the Caves to perform his evil experiments. Join Cally in this action-packed run and gun platformer, conquering insane bosses, exploring to find secrets, and levelling up EVERYTHING. Use your weapons to level them up and evolve them into their ultimate forms! Unlock new character abilities like the Triple Jump, Dodge Roll and Water Wings. Use a new playable character, Bera to unleash crazy ninja moves and solve puzzles. Most importantly, battle to rescue your parents from Herbert's clutches, and bring an end to Herbert's experiments for good!" 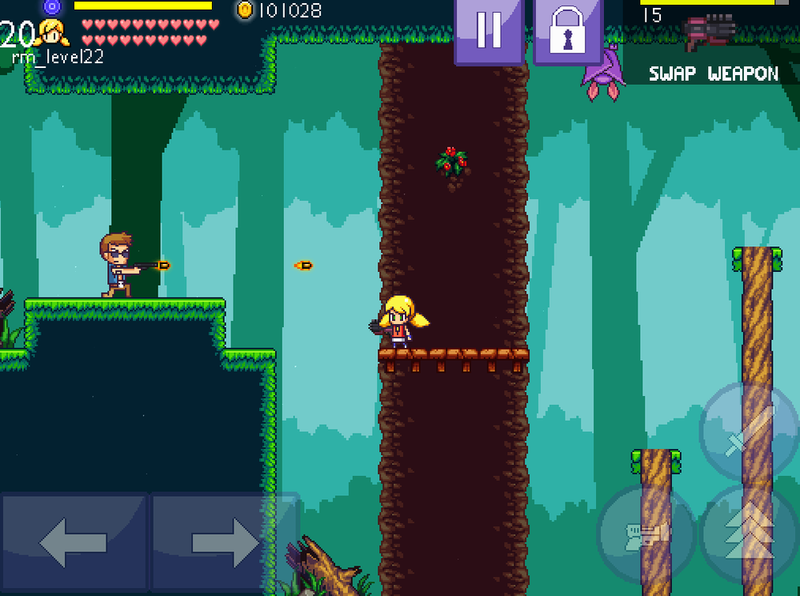 Cally's Caves 3 is a free iOS game, and be downloaded on the App store right here. Make sure to also follow the developer on Twitter.